A new clip from Cold Pursuit has been released and it features Liam Neeson’s Nels Coxman revealing that he’s already killed three people. The clip showcases the dark comedy from the upcoming movie, which is set to hit theaters next month. The movie is a remake of the 2014 Norwegian action-packed black comedy directed by Hans Petter Moland, who is also on board for the North American remake, which stars Neeson, Laura Dern, Emmy Rossum, and Tom Bateman. Liam Neeson’s Nels Coxman learns the circumstances surrounding his son’s murder in the Cold Pursuit clip. Coxman’s son was murdered after stealing cocaine from a drug dealer named Viking, according to his brother, played by William Forsythe. Coxman announces that he’s going to kill Viking, to which his brother laughs. Forsythe and Neeson have a good back and forth as the black comedy roots start to become more noticeable. However, getting to Viking is going to be a lot harder than Coxman anticipated. 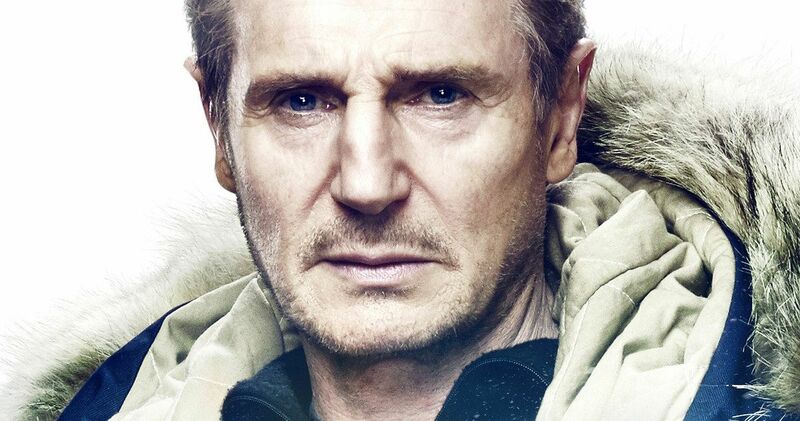 As for taking on the role of Nels Coxman, Liam Neeson says that he was attracted to the simplicity of the character, who he calls a “country guy” that has “found his niche in life, which was to keep this strip of civilization open for man by keeping this road clear.” It’s easy to mistake Cold Pursuit as another movie in the Taken franchise, but this is a much different affair, especially since Coxman is not a trained killer from the CIA. Instead, he’s just a normal family man who takes care of his small town that he lives in by driving a snowplow. Liam Neeson recently revealed that it was a “no-brainer” decision when asked about acting in Cold Pursuit with his son, Micheal Richardson. Richardson play’s Nels Coxman’s son Kyle in the movie and although he was recommended by Neeson, he still had to audition for the part. In the end, Neeson really enjoyed the opportunity. He had this to say. Liam Neeson was also excited to work with Laura Dern in Cold Pursuit. The actor said that he can take something off of his bucket list because he got to work with the “great Laura Dern.” Emmy Rossum enjoyed getting to work with Neeson, noting that he was “annoyingly professional,” on the set and also stating that he took care of everybody. Cold Pursuit hits theaters on February 8th and you can watch the latest clip from the movie below, thanks to the Lionsgate Movies YouTube channel.